Microsoft Silverlight is a powerful tool for creating and delivering rich Internet applications and media experiences on the web. Silverlight 5 builds on the foundation of Silverlight 4 for building business applications and premium media experiences. Among other capabilities, the Silverlight 5 release candidate highlights dramatic video quality and performance improvements, and features that improve developer productivity. Good news! 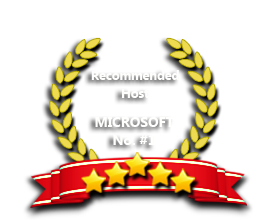 We have offered the newest Silverlight 5 Hosting on our Windows Server 2012. ASPHostPortal.com is 100% focused on providing the best value in innovative Microsoft Windows hosting for Microsoft/ASP.NET developers. Our team is proud to be one of the first host to launch the latest Silverlight 5 hosting. Now, you can try our Silverlight 5 hosting with absolutely no cost, just simply sign up our FREE Trial Hosting. We also support the previous Silverlight 4, Silverlight 3, and Silverlight 2. So, which one do you choose? Our Windows Cloud Hosting fully supports Silverlight 5 hosting. You are more than welcome to try our Free Windows Cloud Hosting before you decide to buy. You can get your Free Cloud Windows hosting account up and running within the next few minutes.